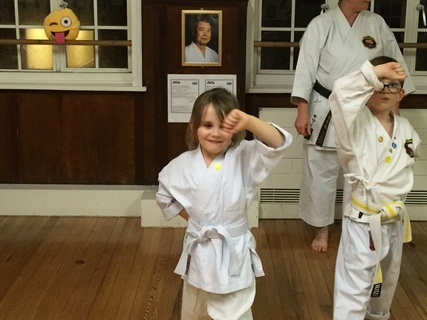 Children's Classes are held twice a week at the Christ Church Dojo. Children from the age of 5 are welcome to come along and join in. 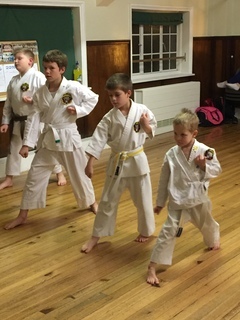 The children start working on their first gradings soon after joining, but as the classes are run in the form of games and exercise they hardly realise. 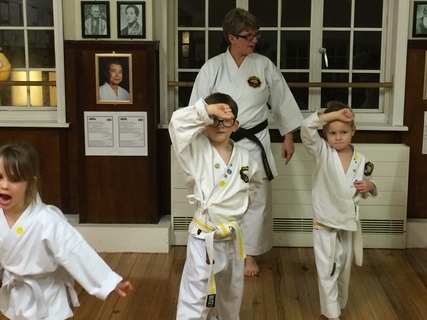 Sensei Sally takes the classes and she has over 25 years of Karate Training. 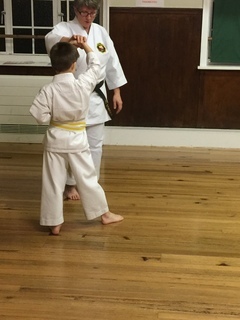 Karate helps with concentration, behaviour, learning and social skills. Classes are from 6pm to 7pm and you can pay as you train. If you would like anymore information or would like to come along, please email the club via the CONTACT US link. We look forward to seeing you soon.